There are literally thousands of articles that offer you good advice about how you should spend your tax return cash. This isn’t one of them. At least not entirely. What you have here is an article that gives you both smart options and ways in which you can just blow your money. We feel obligated to give you some smart ideas knowing that most of you will simply ignore it and buy something totally cool, yet totally useless as well, like a rear spoiler for your Hyundai Elantra. A check from the government gives you a chance to do something financially meaningful or do something off-the-cuff and stupid. The choice is yours. The average tax refund is around $3,000, which can buy you a little financial security or an inflatable life-size Twister game. Since we are doling out advice, we think you should use your tax return to buy new locks for your home. It is a smart investment. But you will probably want to buy the entire series of Family Guy on Blu-ray instead. 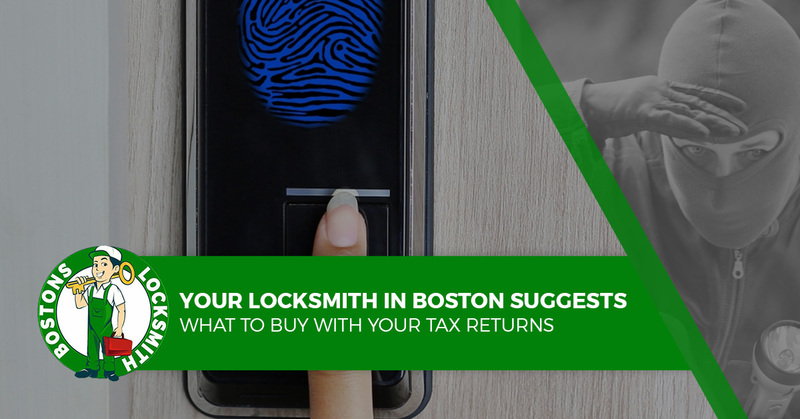 Bostons Locksmith, your locksmith in Boston, offers ways in which you can spend your tax return. Instead of spending your money on expensive dinners at fancy restaurants or stuff you will get bored within two months, you should use your tax return to buy an experience of a lifetime. Perhaps you have always dreamed about going skydiving or hitting the surf in Hawaii, two excellent ways to spend your money. Maybe you want to watch the Red Sox from seats so close to the field you can scream at the umpire and he will hear you. Spending your money on a second honeymoon by taking your sweetie to Kilimanjaro to check out the herds of elephants while rocking out to Toto will keep your marriage safe and interesting for the next several years to be sure. Maybe you feel your money is better spent pampering yourself. Tax time is stressful for many. Heck, most of you experience stress on a weekly basis and would love the chance to visit the spa to melt it all away. Your best bet is to book an entire day at the spa and indulge in a series of treatments including a full-body massage, aromatherapy and a soak in a bath with a full bottle of sake poured into it for good measure. You could also just have a regular bath and drink the sake. If you are still hauling the Hoover out of the closet and vacuuming your floors, you are doing it all wrong. Robot vacuums are the best thing since sliced bread, programmable coffee makers and the Amazon Echo. Start off by laying down $800 for a pair of jeans from Nordstrom, like a sweet pair of Gucci or Givenchy jeans. Perhaps you are more into Blue Buddha jeans. Pair those jeans with a Valentino or Dsquared2 shirt, this will set you back another $600 to $700. Lastly, tie the whole outfit together with a pair of Mezlan Alligator boots at right around $1,600. But seriously, you should get new locks for your home instead. Give Bostons Locksmith a call.